Cycling stress map. Shows level of traffic stress (LTS) for every road in the city based on OpenStreetMap and LTS Analyzer model. 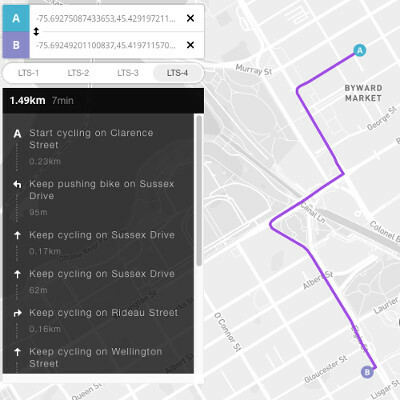 Pick any point in the city and see how far you can bike with a user-defined acceptable level of traffic stress. 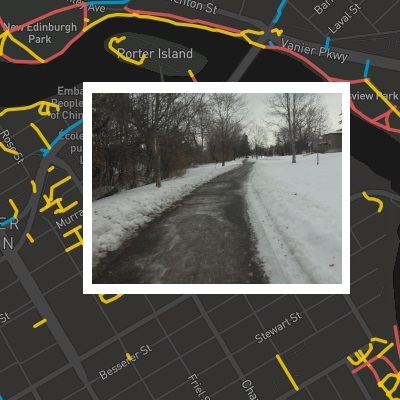 Map of winter-maintained pathways. Help us fill in the blanks! 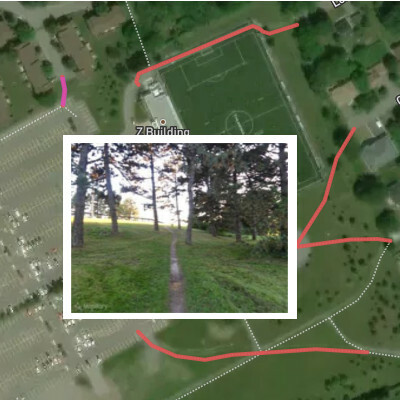 Map of desire lines in Ottawa. Help us maintain it by suggesting those that are missing. 2014-2016 collision map for Ottawa involving pedestrians, cyclists and drivers. 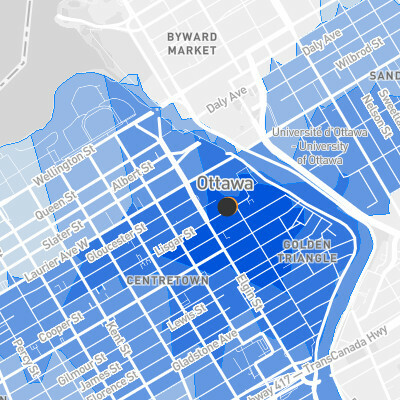 Data from City of Ottawa collision open data.